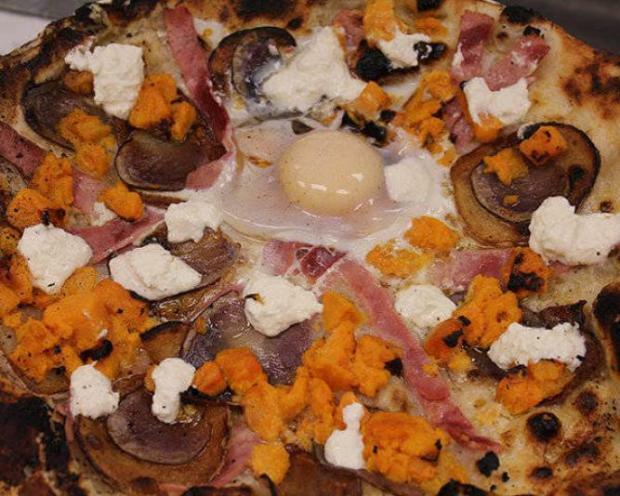 Most look forward to turkey, mashed potatoes, and pie on Thanksgiving, but here are a few unconventional dishes to try if you are feeling adventurous!!! You might have thought you’ve seen every which way to cope with holiday leftovers, but one clever chef in Brooklyn has stewed up something stellar. 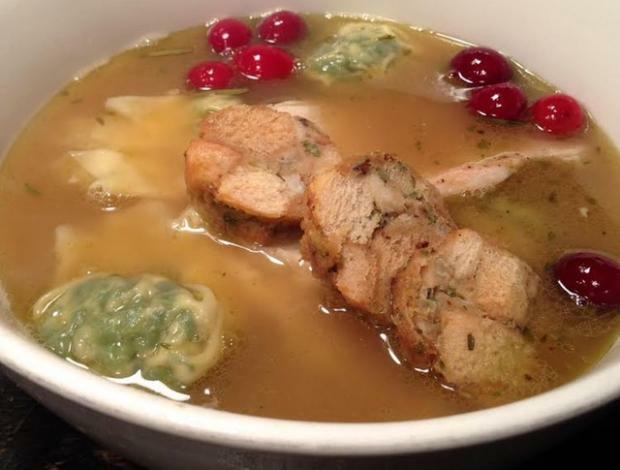 At Talde, chef Dale Talde has created a seasonal ramen dish that combines roasted turkey slices, a stuffing roulade, creamed spinach-stuffed dumplings, pickled cranberries, and a mushroom-soy gravy over the traditional noodles. Okay. There’s actually no pumpkin in this recipe, but combining vanilla pudding with ginger, nutmeg, cinnamon, allspice, cloves, and cardamom makes for a flavor profile that’s similar to pumpkin pie. 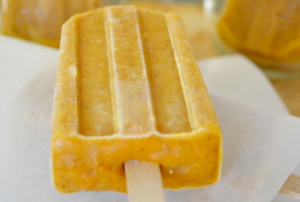 And after spending all day working over a hot stove, this frozen treat would be a bit more inviting than that heavy old school pastry. Corn is a safe and standard Thanksgiving side dish, but give it a pop and it’s a delightful snack to munch through parades and football games alike. 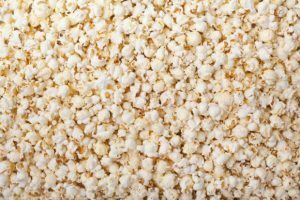 Popcorn is a great base ingredient that can go savory, sweet, or both. 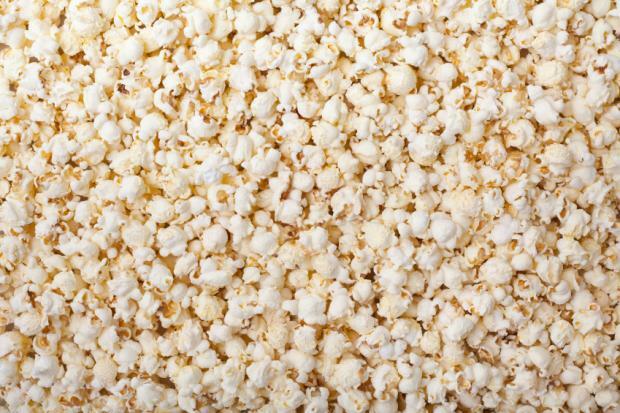 Mix plain popcorn with sage leaves, salt, and butter for a taste that’ll complement your meal. Or drape it in caramel or chocolate, with a bit of salt for bite, to make an addictive dessert. Okay, the name could use some work, but the actual dish from Idaho’s Bonsai Bistro is a playful take on Thanksgiving leftovers. 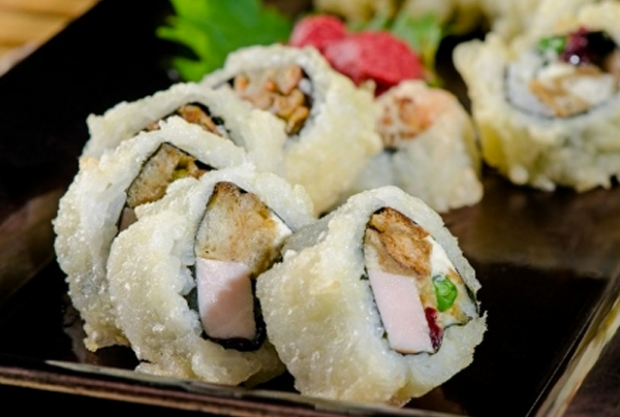 Smoked turkey breast is wrapped in seaweed and rice along with stuffing, green beans, cream cheese and dried cranberries, then tempura battered and fried. Even the side spices get a holiday makeover: The wasabi is infused with cranberries, and the standard soy sauce is substituted with a red wine soy demi-glace. 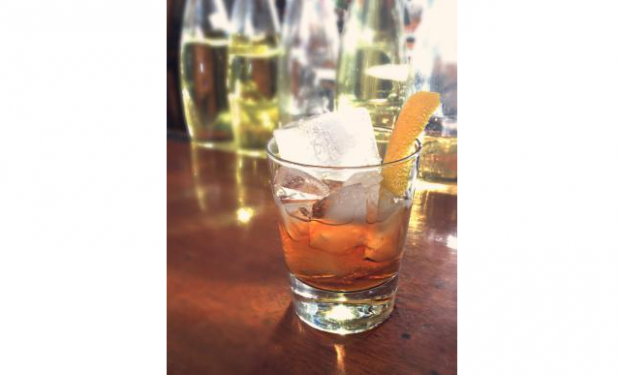 If you want something tastier than your typical cocktail to imbibe on Thanksgiving, try this bourbon drink from Los Angeles’s Little Dom’s. But be warned: it takes longer to prepare than your turkey will. For a full week, Eagle Rare Bourbon Whiskey is infused with butternut squash that has been roasted with cinnamon and sugar. From there, a bit of maple syrup, a splash of Urban Moonshine Maple Bitters, Fee Brothers Barrel Aged Bitters, and an orange peel garnish makes for a sophisticated and intoxicating way to eat your vegetables. If you don’t shy away from having your foods touch, combine the best of conventional Thanksgiving dishes in a very unusual way. Clever chef Amy Wisniewski transformed the ultimate holiday meal into a towering and tasty layer cake. 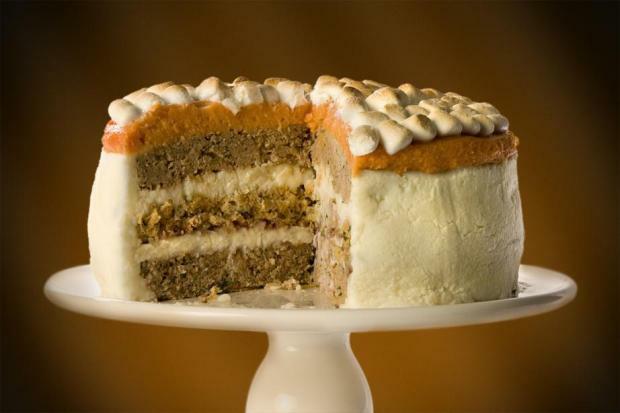 The layers are made of stuffing, mashed potatoes, and turkey, while the “frosting” is mashed sweet potatoes topped with browned marshmallows. Sure, it’s weird, but also kind of wonderful. Technically, this dish—created by Krescendo’s of Brooklyn—is for leftovers, but using this as the main meal will surely surprise and thrill your guests. 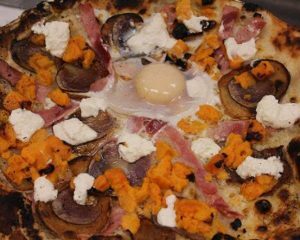 The pie is topped with sweet potatoes, thinly-sliced ham, potatoes au-gratin, goat cheese, and an egg. Thanks to MentalFloss.com for the ideas!!! Check back often for even more fun San Diego Real Estate news and tips, community posts, and event calendars!! !